I received this letter from Erika, and I thought the subject was one that others might find helpful. I hope that the project gets approved, and that Erika's students are able to share their projects with us! I am a volunteer mom out in California (where we can't afford art teachers) and am trying to come up with interdisciplinary art lessons for 5th graders. 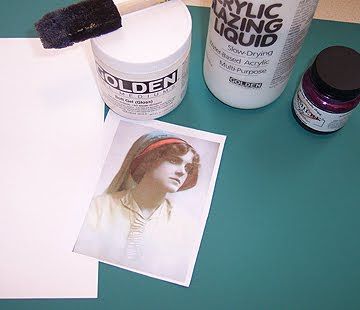 One of my ideas is to take their unit on Dorthea Lange/ depression era studies and come up with a project using photographs and image transfer. I would like the students to be able to create a work using a photograph transferred onto paper, and then embellish it, along with creating a poem or written story about what they see in the photo. Is image transfer too difficult for this age group? I have a few other parents to help, but don't want to frustrate them either. Many thanks for any ideas or suggestions. I will try any projects at home first with my own 4 kids to make examples. First of all, bless you for taking on a project with the kids! I am not really sure what to tell you. 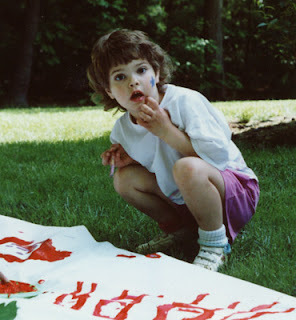 If you really want to do transfers with them instead of just collaging the photos onto the pieces, the two easiest, "almost fool proof" methods are using inkjet transparencies and t-shirt transfer paper. Both are intended to be transferred to fabric, although it is possible to use a good watercolor paper instead. The major difficulty with all the different methods is that you've got to be able to print the photos out in a form that can be transferred...using a scanner, an inkjet printer, etc. If you've got access to those for making lots of copies (extras for mistakes), then both those methods should be doable by 5th graders with some help! I'd love to see some shots of the group in action, or shots of some of the pieces they make! Would they like to see their work featured on Mixed Media Artist? With first names only, of course! How about waterslide decals? The kids could really have fun with those for transferring images to hard surfaces like bars of soap, ceramics and glass. Again an inkjet or laser printer is required. Or go to a copy center. Good suggestion! Waterslides won't give that old-fashioned look, but they're really easy to use. Hi I transfer images to paper all the time and it is an easy process, however I do use eucalyptus oil which is poisonous if ingested but older kids may be sensible enough to use it. I will be putting some instructions on my blog for you to check out. Hope it helps.